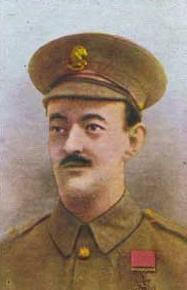 Wednesday, 30 September marks the centenary of the death of Port Talbot’s greatest hero. 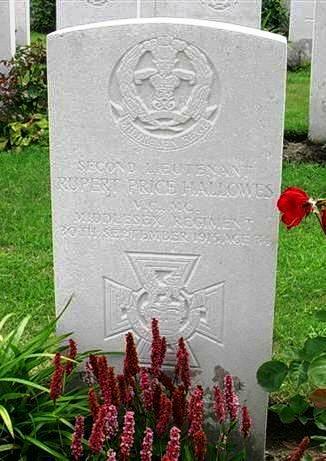 Rupert Price Hallowes VC MC was the son of Frederick and Mary Hallowes and lived at Dan-y-Ffynnon, Port Talbot, South Wales. He was active as a scoutmaster and sidesman at St Theodore’s Church, Port Talbot. Rupert Hallowes died of his wounds on 30 September 1915 and is buried at Bedford House Cemetery, Zillebeke, near Ypres. His Victoria Cross, Military Cross, and other medals are on display at the National Army Museum. 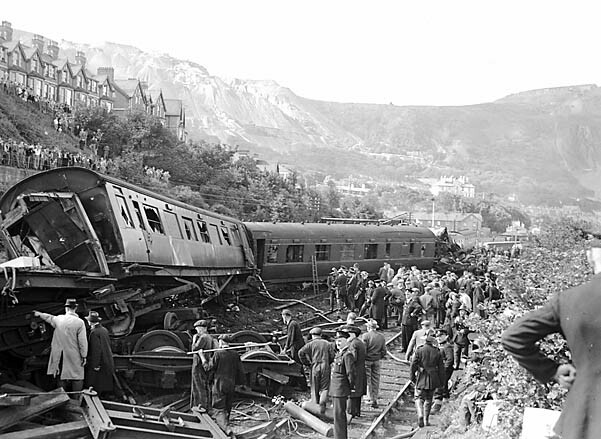 In 1950, the nation’s newspapers and radio were full of news of a major railway disaster in the quiet Snowdonia town of Penmaenmawr. A little after 3 am on 27 August, a train from Holyhead with over 500 passengers from Ireland, collided with the rear of a small railway locomotive which had travelled from Llandudno Junction to collect a number of stone wagons from the sidings. The engine was crossing the main line to gain access to the sidings. A fireman on board the small engine heard the Holyhead train coming and signalled to the signal box with his lamp that a collision was about to happen. The signalman changed the signals for the Holyhead train to red, but it was too late. The passenger train collided with the rear of the small engine pushing it forwards for about 240 yards, ripping the tracks. The force of the collision shattered the sleeping carriage of the passenger train, which was immediately behind the locomotive, and five people inside were killed. Several further carriages were thrown off the rails. 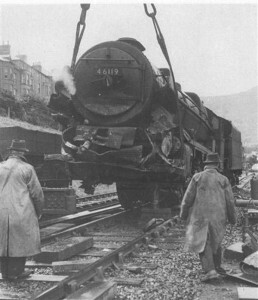 Both the running lines were blocked and a second collision was prevented when a freight train approaching from the east was stopped just clear of the wreckage by the prompt action of the driver of the Holyhead train who knew the freight train was due and, on his instructions, the fireman went forward, despite painful injuries from which he would later be hospitalised, and protected the line with detonators to warm the oncoming train. The goods driver saw the signal change and then heard the detonators, and braked hard, stopping 120 yards before he would have hit the coaches lying across the down line. It was particularly fortunate that the goods train was stopped because its load included ammunition. After the crash, local people came to the station with blankets and a cafe nearby opened to dispense tea and coffee to the rescuers and survivors. Penmaenmawr station was used as a casualty-clearing area until ambulances arrived to take the injured to hospital in all 36 people were injured and six killed (five at the site and one later in hospital) – a remarkably small number. A Pathé newsreel shows a video of the aftermath of the crash test. 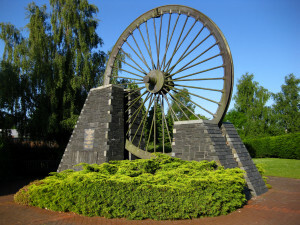 Today marks the 81st anniversary of the Gresford colliery disaster which took place on 22 September 1934 at Gresford Colliery, near Wrexham, North Wales, when an explosion resulted in the deaths of 261 miners, three rescue men and a surface worker, leaving 591 widows, children, parents and other dependents. 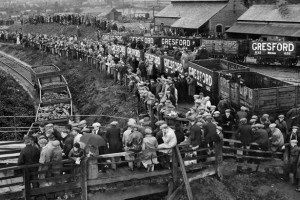 The night shift on Friday 21st September 1934 was particularly busy as many miners were “doubling up” so they would be free to watch the local football derby, Wrexham against Tranmere Rovers, on Saturday afternoon. The explosion took place in the Dennis section, one of three seams at the colliery, which produced industrial coal, but was notoriously prone to firedamp (usually methane, a highly inflammable gas). Only eleven bodies were ever recovered. Following the disaster, the colliery was closed for years putting 1,700 men on the dole. Although the cause was never proved, an inquiry found that a number of factors such as failures in safety procedures and poor mine management led to the disaster. The remains of the other victims were left entombed within the mine. The colliery owners were fined a paltry sum for inadequate record keeping. Messages of sympathy and donations came from all over Britain and from overseas. Almost £570,000 was donated during an appeal aided by the press who kept Gresford in the public eye. A relief fund paid allowances to the dead miners’ widows, children and dependants. For many, sympathy was tempered by anger at the harsh reality of the miners’ working conditions. Anger was so strong that many people gave money directly to the miners’ union as they feared otherwise it would never reach those in need. One of the legacies of the disaster was that the miners were represented by Sir Stafford Cripps, who went on to be Prime Minister Clement Atlee’s Chancellor of the Exchequer. Cripps used the inquiry to attack the system of private ownership of mines, arguing that this was not going to be an isolated incident and they should be nationalised – which they were after World War II in 1947. 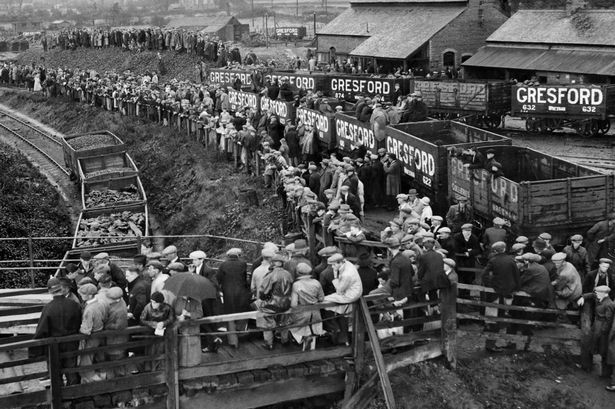 Gresford Colliery finally closed on economic grounds in November 1973. In the 1980s the site was redeveloped as an industrial estate. In 1982 a memorial to the victims of the disaster was erected nearby; it was constructed using a wheel from the old pit-head winding gear. Wrexham Council has an excellent website about the disaster.